Each month, beginning May 1, 2018 twelve to fifteen applicants will be granted up to one year of proper evidence-based and culturally appropriate treatment. 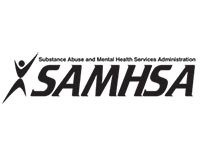 What is the Native American Drug and Alcohol Recovery Initiative? 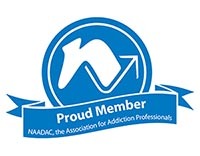 In a much needed effort to bring lasting recovery and wellness for Native American communities under the attack of drug and alcohol addiction, Stand 4 Recovery and Healing The Circle Workshops have partnered to conceive the Native American Drug and Alcohol Recovery Initiative (NADARI) a resurgence effort in response to the overwhelming death rate of Native Americans from alcohol and drug overdoses. 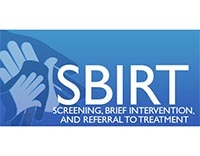 The initiative combines integral components of the SBIRT screening model, the 12 Steps of Recovery and Social Model, and the Wellbriety Curriculum. Increase access to effective long-term treatment. Ensure treatment is suitable for individual needs. Address underlying intergenerational trauma and unresolved grief. Provide a culturally appropriate 12 Step program for Native American people. While there are no financial requirements for the applicants or their families applicants must be highly motivated to complete long-term inpatient treatment. Federally recognized Native American and Alaska Natives residing in Alaska, Illinois, Maryland, Michigan, North Dakota, North Carolina, Oklahoma, Pennsylvania, and South Dakota are encouraged to apply. All applications for the NADARI Assistance Award must be submitted online. 1 in 10 Native Americans die from alcohol or drug overdose. Native Americans have the highest reported rates of substance abuse, PTSD and depression compared to any other group. Epigenetics has uncovered scientific proof that intergenerational trauma among Native Americans is real and their historical trauma is a contributing cause for high rates of development of co-occurring substance use disorders, depression and PTSD. Between 1999 and 2015 Native Americans and Alaska Natives saw a five-fold percentage increase in overdose deaths. The Centers for Disease Control and Prevention (CDC) indicates the increase during that period was higher for Native Americans than any other group with only 2.5 percent admission to treatment.